Oscars voters didn’t exactly embrace the concept of the “Popular Oscar,” the award the Academy briefly tried to institute for this year’s show before abandoning the effort. Sure, they gave a Best Picture nomination to “Black Panther,” the first comic-book movie ever nominated in that category and the year’s box-office champ with grosses that have topped $700 million in the U.S. And they gave nominations to two other films that are in the 2018 box-office Top 20: “A Star Is Born” and “Bohemian Rhapsody,” which have both topped $200 million to sit at 12th and 13th place on the list. In truth, the mere presence of “Black Panther” in the Best Picture race ought to be enough to bump up ratings for the Oscar telecast, and “Bohemian Rhapsody” and “A Star Is Born” won’t hurt either. But two films that lead in nominations are uncompromising indies, not would-be blockbusters: idiosyncratic Greek director Yorgos Lanthimos’ twisted period piece “The Favourite,” which has made $23 million to stand at 97th place on the year’s box-office chart, and Alfonso Cuaron’s black-and-white memory piece “Roma,” whose grosses are a mystery because its distributor Netflix doesn’t report them. 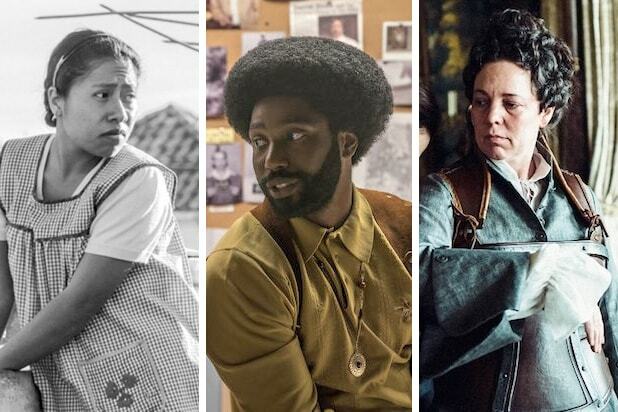 And many of the other leading nominees — “Vice” with eight nominations, “BlacKkKlansman” with six, “Green Book” with five — also sit in the lower reaches of the box-office charts. So this year’s nominations were really a declaration of independence by Oscar voters, an insistence on finding their favorites (and their “Favourites”) across the spectrum and, for the most part, ignoring outside pressure. Critics don’t like “Bohemian Rhapsody” and “Vice?” Academy voters didn’t care. “Green Book” has been assailed for its white-man’s perspective on racial issues? So what? Voters were moved by it. “Roma” is from Netflix, the supposed enemy of the theatrical business? Voters saw it as a singular achievement regardless of platform. In the end, “The Favourite” got a significant boost, “Roma” showed unexpected — and badly needed — acceptance from the Academy’s huge Actors Branch, “BlacKkKlansman” secured its standing as a major contender and “Vice” did everything it needed to do and then some. But “A Star Is Born,” which took hits when it lost at the Golden Globes, Critics’ Choice Awards and Producers Guild Awards, took another shot to the head when the Directors Branch opted not to nominate Bradley Cooper. The Warner Bros. film’s only real chance at this point is to mount the kind of sympathy campaign that pushed “Argo” to Best Picture when the same branch bypassed Ben Affleck in 2013 — and that’s an extreme long shot after the film’s previous stumbles. And “Green Book,” coming off a triumphant night at the Producers Guild two days ago, now faces a similar hurdle in trying to win Best Picture without a Best Director nomination for Peter Farrelly. It can be done (“Argo” did it, and before that “Driving Miss Daisy,” to which “Green Book” has been compared), but it usually isn’t done. The landscape in the aftermath of the nominations has “Roma,” “The Favourite,” “BlacKkKlansman” and maybe “Green Book” in the top rank, “Vice” and “A Star Is Born” a couple of steps back, and “Black Panther” and “Bohemian Rhapsody” happy to be invited to the party. And it means that this is going to remain a tight, confusing and quite possibly ugly race for the next month, with the upcoming Screen Actors Guild Awards and Directors Guild Awards unlikely to clear anything up. In other categories, there was good news: Voters liked the Coen Brothers’ delicious “The Ballad of Buster Scruggs” more than we thought, Paul Schrader got his first Oscar nomination ever for writing “First Reformed” and Caleb Deschanel’s stunning cinematography for “Never Look Away” gave foreign-language films three of the five nominations in that category. And there was baffling news: “Won’t You Be My Neighbor?” could only have failed to land a Best Documentary Feature nom because too many voters figured it was safe. And now there will be some contentious debates about race as “BlacKkKlansman” is pitted against “Green Book,” a batch of additional musings about Netflix’s place in the Oscar race and probably a short-film spat or two. But the voters liked what they liked, and they didn’t let critics or pundits or dirt-diggers tell them otherwise. They painted us a nice muddy picture that probably won’t get much clearer until Oscar night. Hollywood awards gurus -- like our own beloved Steve Pond -- have gotten Oscar prognostication down almost to a science. But that doesn't mean that the Academy doesn't throw us a curveball every year. 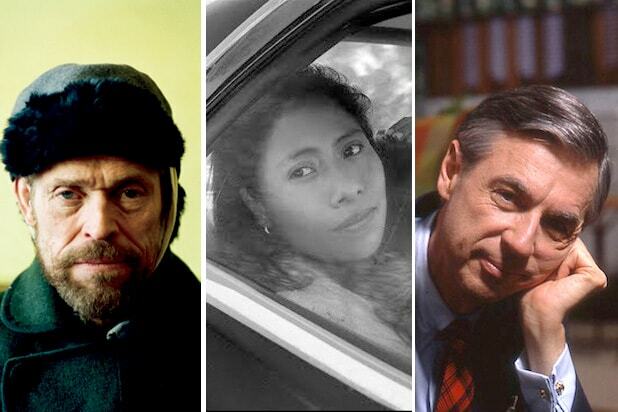 Here are the nominations that were the biggest surprises, and the snubs that burned the most. SNUB: "If Beale Street Could Talk" (Best Picture) -- Barry Jenkins' beautiful adaptation of James Baldwin's novel by the same name did not mesmerize Academy voters. Jenkins did earn a nomination for adapted screenplay, with the film's score and supporting actress Regina King also earning nods but the film was snubbed for Best Picture as only eight of the possible ten nomination slots were used. SURPRISE: Pawel Pawlikowski, "Cold War" (Best Director) -- The foreign language category will contribute two nominees to the Best Director field, as the Polish Pawlikowski joins Mexican frontrunner Alfonso Cuaron in a field that also includes Adam McKay, Spike Lee, and Yorgos Lanthimos. SNUB: Bradley Cooper, "A Star Is Born" (Best Director) -- But one person who was considered a contender to earn a nomination for his directorial debut was left off the list, as Bradley Cooper will have to settle for a Best Actor nomination for his work on the third remake of "A Star Is Born." SURPRISE: Marina De Tavira, "Roma" (Best Supporting Actress) -- De Tavira nabbed a best supporting actress nomination for her role as Sra. Sofía in Alfonso Cuaron's "Roma." The film is beloved by critics and was expected to garner a bounty of nominations, but De Tavira had not been projected to grab one of them for her performance as the weary, neglected matriarch of the family that Yalitza Aparicio's Cleo works for. SNUB: "Won't You Be My Neighbor?" (Best Documentary Feature) -- Morgan Neville's sentimental look back at the life and career of Fred Rogers tugged on the heartstrings of many last summer, and it was thought to be a shoo-in for this year's Oscars. Shockingly, it was left off the final nomination list, with "Of Fathers and Sons" joining category favorites "RBG" and "Free Solo" on the list instead. SURPRISE: Willem Dafoe, "At Eternity's Gate" (Best Actor) -- Nearly every year, there's a surprise leading performance that sneaks onto the nominations list after being championed by critics on the indie circuit. This year's surprise is Dafoe, earning his fourth Oscar nomination and first for a lead performance as Vincent Van Gogh in the troubled painter's final days. SNUB: Ethan Hawke, "First Reformed" (Best Actor) -- Paul Schrader earned an Oscar nomination for his screenplay of this breathtaking drama. But despite critical acclaim, Hawke will not get a nod for his gripping performance as a priest wrestling with the existential despair of climate change. SNUB: Toni Collette, "Hereditary" (Best Actress) -- When the devastating horror film "Hereditary" hit theaters last summer, Collette's performance as a grief-stricken mother earned her a wave of fans demanding she get Oscar consideration. Sadly, the buzz around her and the film could not keep momentum into awards season.